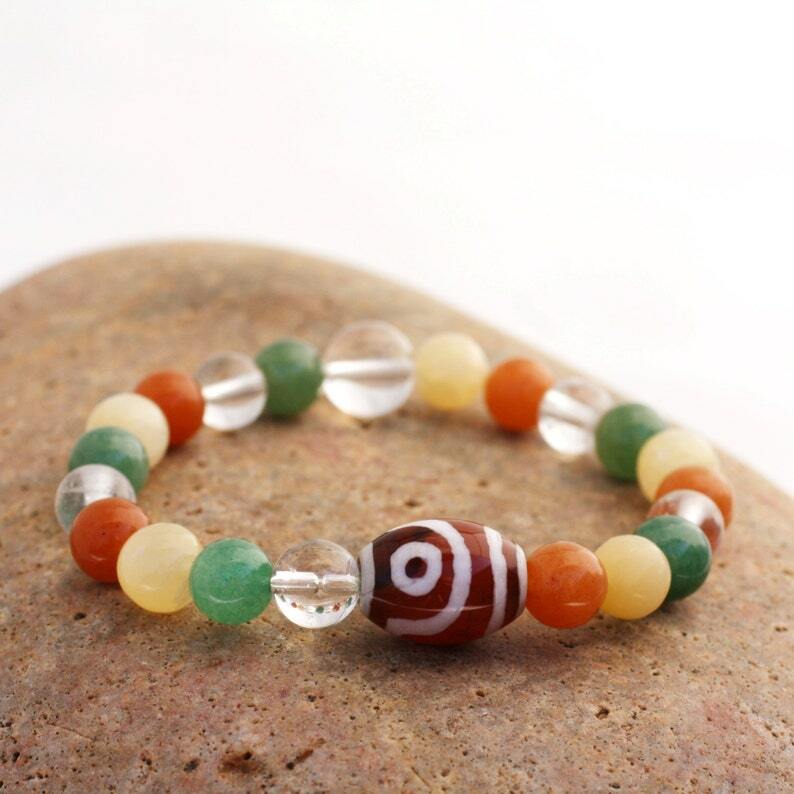 Red and green aventurine, quartz, yellow jade, and a large etched Tibetan agate coexist peacefully in this mala. 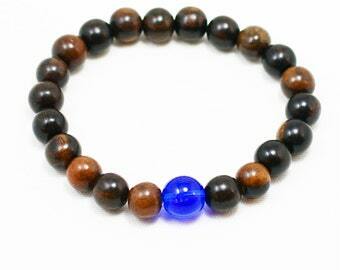 Sometimes you need to wear a little mala on your wrist to remind you to stay calm and peaceful during the day. This wrist mala was strung with positive intentions; when you wear it you infuse it with your own intentions and prayers. Fits a 6.5-7 inch wrist but can be enlarged easily.